Eyecandy Signs’ new ad is out in the Autumn 2015 Local Connections! 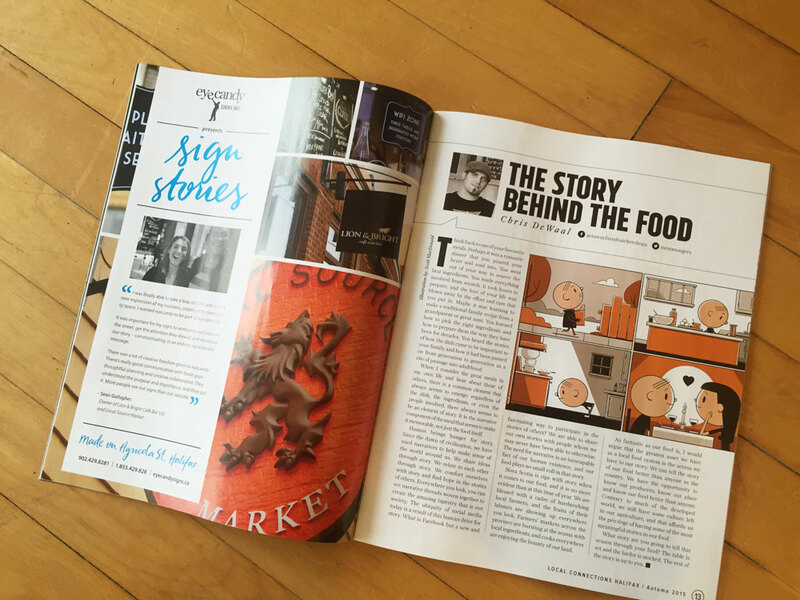 Rarebird developed a concept to embrace the community and collaboration-oriented content of the magazine: “Sign Stories” highlight Eye Candy’s local values and the relationships it fosters with clients. This edition features Sean Gallagher of Lion and Bright/Local Source. Trivia Tidbit: This issue’s ad is full Agricola Street: Eye Candy, Rarebird and Lion & Bright businesses are all on the row.